Hard disk repair guide. Hard disk failure is inevitable. When it happens, the first question that comes into your mind: “Is it repairable?” How about your important files stored in that hard drive? Are those recoverable? This guide will help you answer those questions, recover your important data from that bad hard drive and eventually repair your hard disk, if possible. Hard disk cannot be detected in BIOS. However, in some cases, especially on hard disk that having mechanical issues (hard drive not spinning anymore or there is a hard drive clicking sound, click here for more hard disk sounds by data cent), the below methods yield a lesser success. So, does it mean that you shouldn’t try to repair your hard disk? Of course not, trying won’t hurt and the possibility of fixing your hard disk still high. Let’s start. 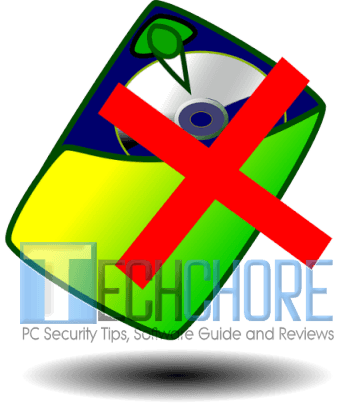 Do you see a pop-up message, “Windows detected a hard disk problem?” follow my suggestions here, “Windows detected a hard disk problem – solved“. If nothing happens, maybe the solution doesn’t apply to your situation. Let’s jump to next step. To proceed, I need you to familiarize the hard disk repair tools below. Parted Magic – hard disk management solution. 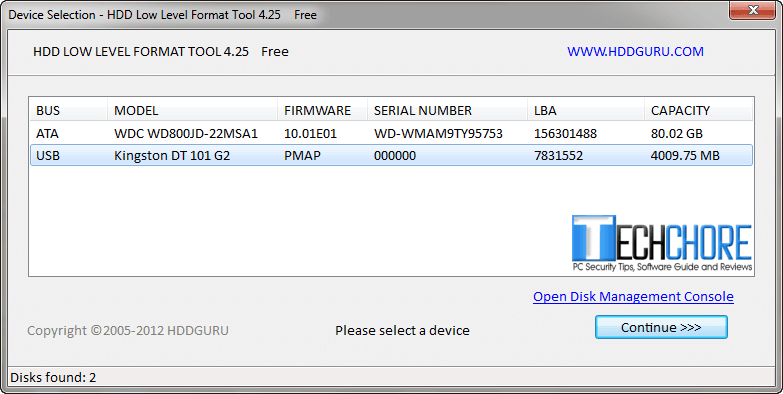 Hard Disk Low Level Format Tool (download here) – is a self-explanatory hard disk utility tool. It will format hard drive at low level, erasing partitions and wiping MBR, making your hard drive near to manufacturer’s default state. (Note: using this tool will make your data unrecoverable). In this moment, I presume that you now have enough knowledge about hard disk repair software/tools which I mentioned a while ago. 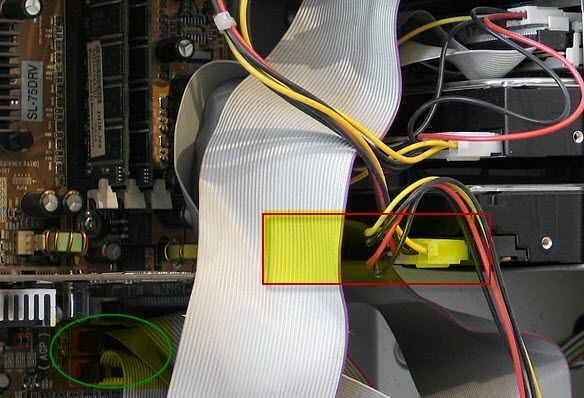 See to it that your hard drive molex connector/SATA power cable, IDE/SATA cable are properly attached. Then test, if it solved the problem. Make sure that IDE/SATA cable in your Motherboard is properly fixed. Again, test it if the problem is solved. If nothing works, it’s time to check your hard disk health. In Linux desktop, double click the hard disk icon. Hard disk color (RED) – it means the hard drive is dying or dead. Hard disk color (GRAY) – chances are, the hard drive is still in good health but having minor bad sectors. How to recover files from bad/damaged hard drive? The good news! Whatever the result of checking your hard disk health, whether the color is RED/FAILED or GRAY/PASSED your files is still recoverable. In Linux environment, double click “File Manager”. Explore the files from bad hard disk, copy all your important data to your extra storage devices such as; hard drive, external hard drive, flash drive, SD card and more. I can’t browse my files through File Manager? If that is the case, run “Test Disk”. 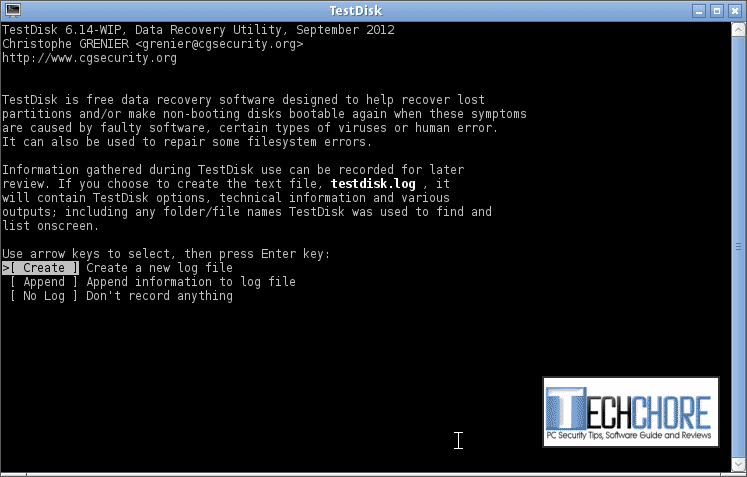 To repair, recover partitions and make your hard drive bootable again. Click the lower left icon (semi-square with two horizontal line in it; aka windows start menu). 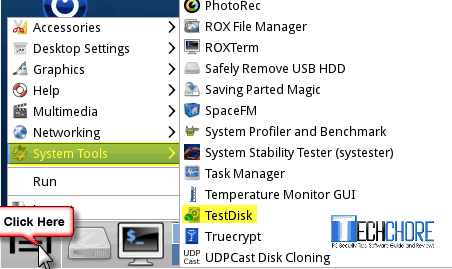 Click “System Tools” → “Test disk”. 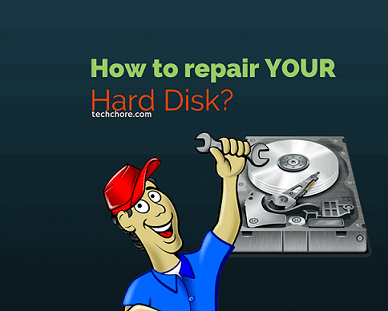 Select the hard disk/bad hard disk that you want to repair. Select “create” just hit “Enter”. Hit “Enter” or move the arrow-up/down to select the bad hard disk then “Proceed”. Choose the appropriate table type but for Windows user, “Intel” will do. “Analyze” → “Quick Search” → wait until analyze monitor finished. “Enter” to continue and follow further instruction, if there is any. Then try to browse your files again in “File manager”. You can’t still explore your files? Honestly, there is no more we can do. If your files in that hard disk are of great value bring it to Certified Data Recovery Professionals to have your files recovered. How to repair hard disk? At this stage, file recovery from bad hard drive already failed. The problem is now narrowed down to hard disk physical/mechanical (internal or external) problem. Nevertheless, let us try to fix your hard disk with Low-level format method. Note: Again, bring your hard drive to qualified data recovery professionals if you want to retrieve your important data and skip the remaining steps below. How to repair hard disk using low-level format? Install and run “as administrator”. Select your bad hard disk and click continue. Wait for a few minutes or hours to complete the process. It may vary depending on your hard drive speed. Patience is virtue. 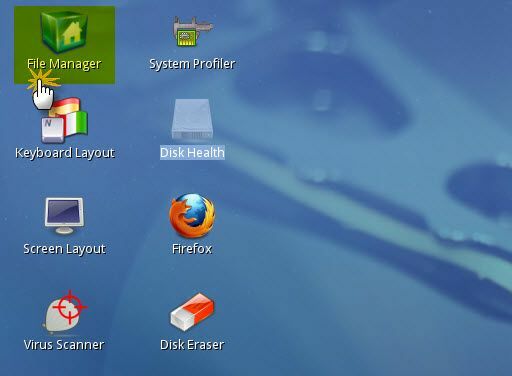 In Windows desktop right-click, “My computer” → “Manage” → “Disk management”. Click on unallocated hard drive → select “new simple volume” → follow the further instruction until “finish”. Low-level format is not for all, the result varies, you might succeed or fail. In fact, some expert don’t recommend it as hard disk repair software. However, based on my experience (I am not an expert just an average tech-guy 🙂 ) low-level format saved several hard drives both my own and my clients. My advice: Whenever you are lucky enough to repair your hard disk after the low-level format. Don’t store important data in it. Is printed circuit board or PCB damaged? If your hard drive isn’t accessible in Windows but detectable in BIOS, parted magic, disk management and diskpart command. It means 80% your PCB is good (hard drive dead), no need to replace. But still there is 20% probability that it’s broken, if you see some burns on the circuit and the hard drive is undetectable most likely the PCB is busted. How to change Printed Circuit Board? Get the appropriate tools; hex screw driver, Philip screw driver or torx screw driver whichever is appropriate. Loosen the screws one by one and slowly remove the PCB. Replace it with your new or spare PCB. (Note: You should replace it with the same PCB brand and model. Swapping or changing your PCB may erase all your stored data and will be beyond recovery). You can now try your hard drive. If this hard disk repair guide solved it. Congratulations! If not, buy a new hard drive. Do you have any idea on how to repair hard disk? Feel free to use the comment box below. It would highly be appreciated. My computer says Windows has detected a hard drive error and says my WDC disk is failing. But when I scan to check for errors it says no errors? Hi Justin, have you tried to use parted magic as mentioned above? I would recommend you to use it, as another way of knowing your hard disk status. 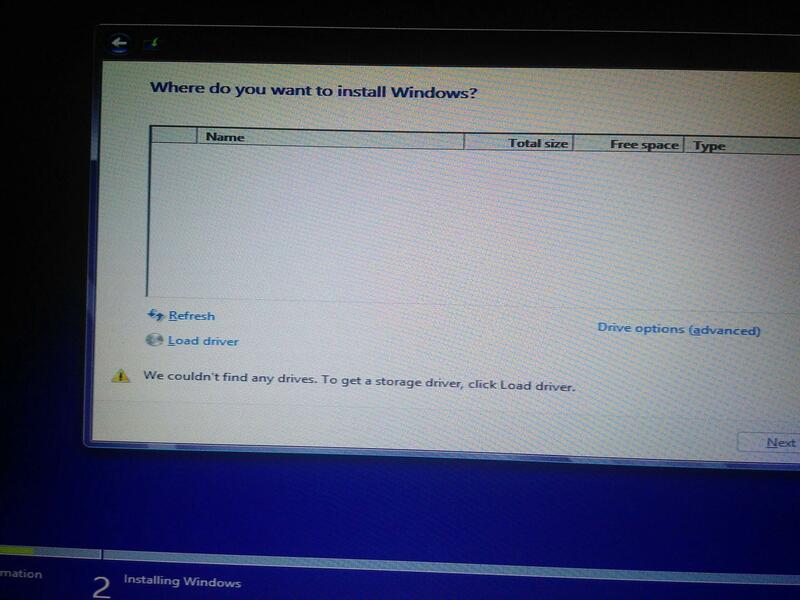 In my experience, one the “Windows Detected a hard drive error“, your hard disk will fail soon. So, as precautionary measure, save all your files now while you still can. Then, use parted magic. Harddrive – WD 500gb internal. I don t know what happened to my hard drive. I just want it clean and working. Even data loss will be ok.
Then i tried to format it with minitool partition boot cd but it showed that as baddisk. I used kali linux live cd.. And i was able to access the data in it. Even tried gpart didn t worked for me. Please tell me method to repair. : https://i.stack.imgur.com/t4uap.jpgHarddrive – WD 500gb internal. Hello, buying a new hard drive is your best option. Your hard drive is bad already. It doesn’t mean that it spins well it’s good. The fact that even parted magic cannot detect it, sorry to tell you that you need a new hard drive. Hi, sorry to say but there is no way you can repair a mechanically broke hard drive. By opening it, it just worsen the problem. But as what you have mentioned that it’s already dead, so buying a new is your best bet.